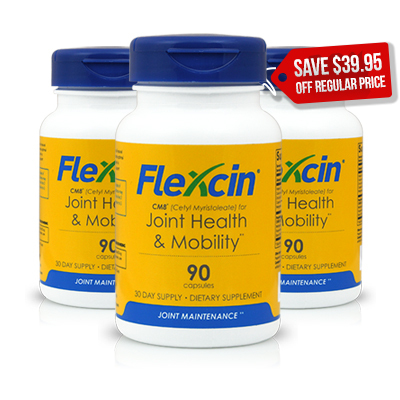 Flexcin with CM8 is all-natural and is clinically proven to promote optimal joint health. 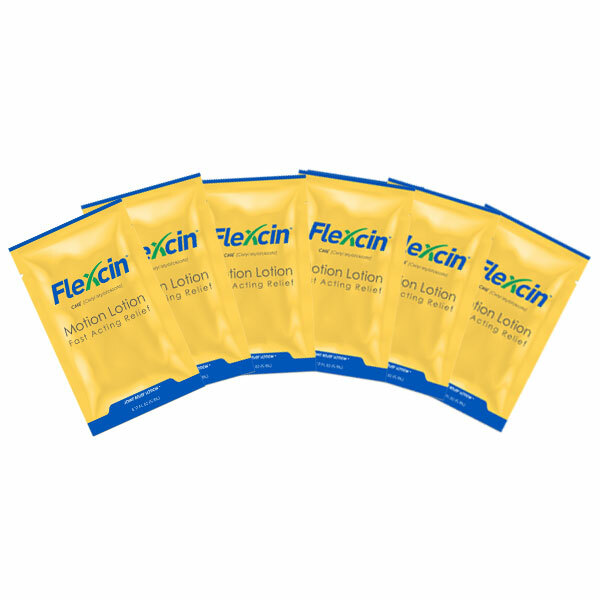 The combination of ingredients in Flexcin with CM8 are especially designed to nourish the joints, support stronger cartilage, help stimulate the lubricating fluid in the joints and increase total mobility. This is 90 capsules which is a 30 day supply. From Rita of Newark, New Jersey on 8/3/2016 . 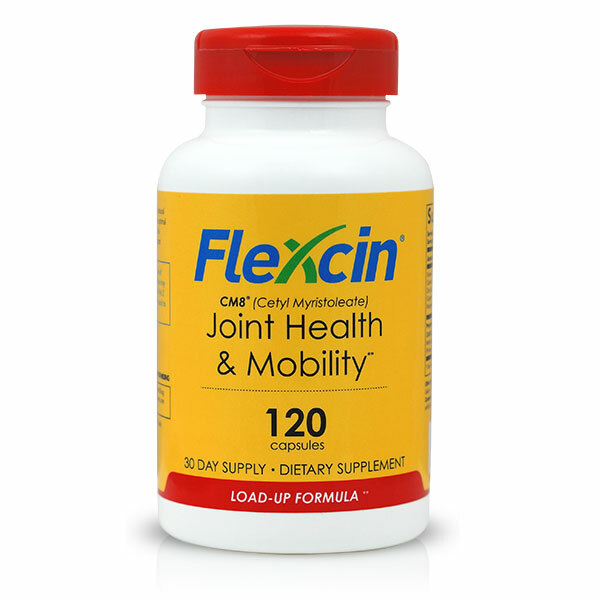 I will soon be 80 and have taken Flexcin since 2009 and have almost no pain in my joints. I can walk across the kitchen floor on my knees. Still go up/down stairs with no pain in my hips/knees. I only take Flexcin. I am sold on this product and afraid to stop it . A recent physical check up revealed I am in excellent health. Yes, I do have some muscle pains in my upper back but that is from lifting heavy garden pots.. Don't do that anymore. From Gordon Bradburry of Clearwater, Florida on 5/3/2016 . After going through chiropractic, acupuncture & various herbal potions for my hip bursitis Flexcin was my last resort before asking for prescription pain killers. I noticed results in a week & a half! I'd say I'm about 90% after incredible pain for months. It hasn't increased my flexibility much, but the pain is definitely gone. No side effects & I'd highly recommend it. ENDED MY ARTHRITIS KNEE PAIN !!! From B Guhl of Greenfield, Wisconsin on 2/2/2016 . Works!!!! I have osteoarthritis. 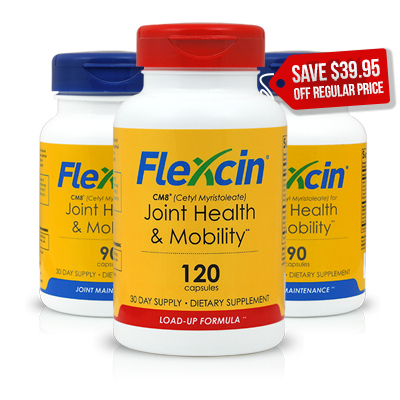 Before I started taking Flexcin I had pain in my knees every day. in 2005 I tore cartilage in my knee and had surgery. My orthopedic surgeon said I would need knee replacement surgery in 15 years and that I could not do walking as my main form of exercise anymore. Two years later I heard about Flexcin and tried it. Within 2 weeks the knee pain was gone. 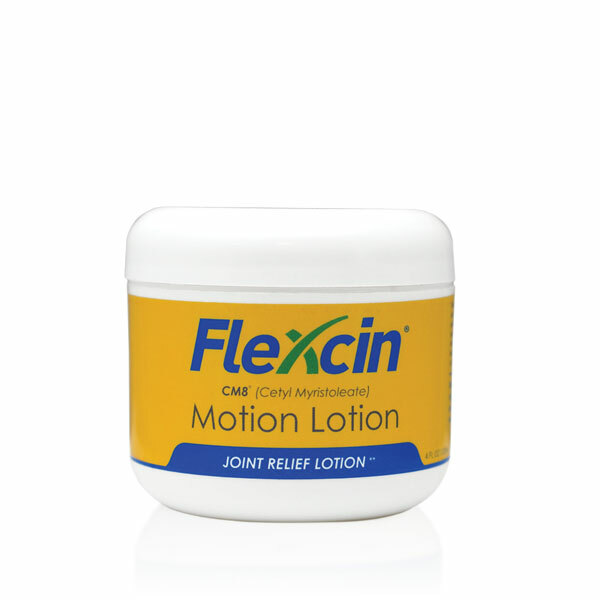 I have taken Flexcin for 8 years now and not had knee pain. I walk as my main form of exercise, too! I told my orthopedic surgeon about my miraculous results, but since Flexcin is not a prescription drug he just laughed and said "show me the studies!" He did not care about results or personal testimony. I felt so sad for all his patients because he would never tell them about Flexcin. I have told so many people about Flexcin and every single person who tried it had amazing results like I did. One friend even had early bone on bone knee pain; she had tremendous pain relief and was just shocked and so thankful. I even started using the pet version, Petflex, for my two dogs and they are both 11 now and so agile, run like they did as puppies. I realize I must sound like a paid spokesperson, but I am not. I simply think the makers of this product deserve high praise for providing such an amazing product. I am so grateful, and I want others to know what great results I have had in the hopes it helps anyone suffering from joint pain. And how rare is it to find something that works!? From D Lane of Rockville, Maryland on 4/15/2015 . Really Really works. I was told that I needed shoulder surgery.Huh! All I can say know is....NOT no More! It took about 2 weeks for it to grab hold, but low and behold! it really works....Also this company makes it for dogs, and it really improved my elders legs!! !This product helps grow back the cartilage in the joints. That's what causes almost all the joint pain-Hope this was helpful..A little pricey but a lot better than being cut on!! 9/13/2018 – Does Flexcin contain soy? Response From Flexcin International: Flexcin Load Up and Maintenance formulas do not contain soy products. 10/6/2016 – I am a first time customer. Should I start with the Joint Maintenance Formula? Response From Flexcin International: If this is your first time trying our product I recommend you try our Load Up formula because it is our higher concentration formula. In addition we recommend you start with a Starter Pack. 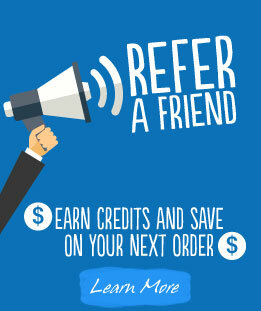 This is not only our best deal but you will also get enough supply on hand to give our product a 3 month trial and see those great results.